If you follow the trendy foods list closely, you probably have heard or eaten a bowl of poke by now. This beloved Hawaiian favorite is sweeping up a craze across the nation that has everyone talking. In Northern California itself, we’re seeing food trucks, trendy cafes and fancy restaurants serving up poke bowls with modern twists. The level of passion for poke is strong. Many of my friends cannot stop raving about it and how they can eat poke bowl everyday. I can see why. 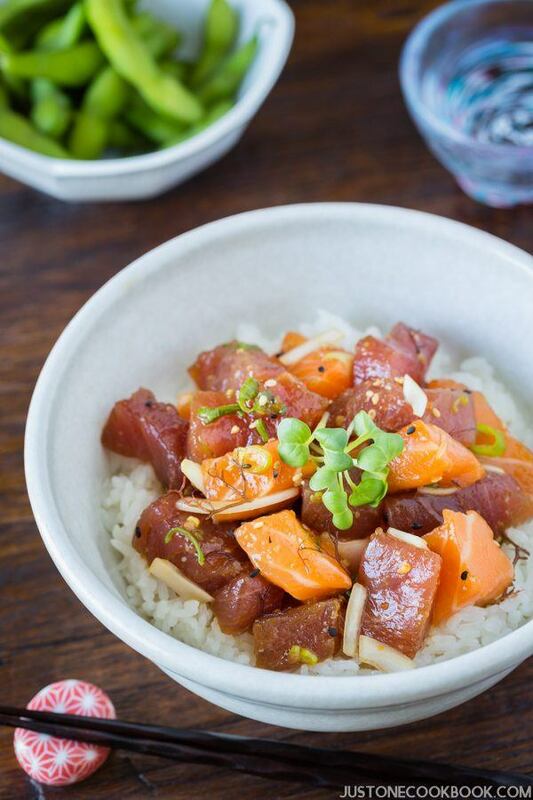 The good news is, poke is incredibly easy to make at home, so long you have access to fresh quality fish. If you’re all about big, abundant bowls of colorful food, I hope I’ll win you over with today’s poke bowl recipe. 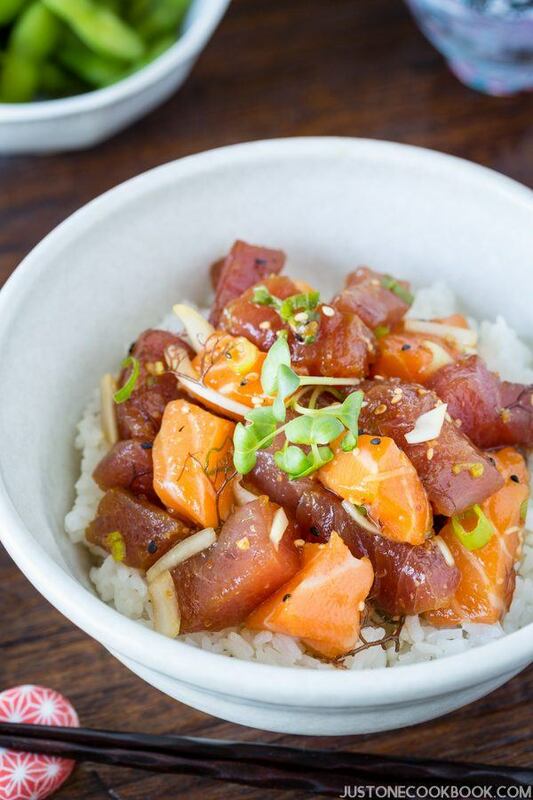 You don’t have to wait in line at the restaurant or fly to Hawaii to enjoy this delicious invention, because the best poke bowl can be made at home. 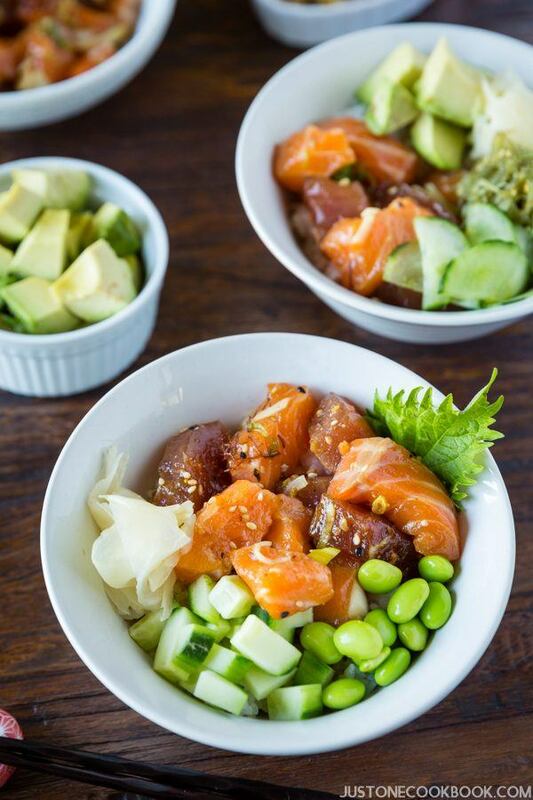 Refreshing and delicious tuna and salmon Poke Bowl recipe. This easy recipe is great for parties (DIY Poke Bowl Party!) or to enjoy as a one dish meal. It only takes 15 minutes to prepare. Poké (pronounced POKE-AY, not POKE-EE) is chunks of raw fish marinated in soy sauce and sesame oil, tossed with sesame seeds and seaweed. However, it can mean anything chunked as poke comes from the verb “to section, slice, or cut” in the Hawaiian language. Popular seafood used for poke includes ahi (yellowfin tuna), he’e (octopus, tako) and aku (skipjack tuna, katsuo), and salmon. With heavy influences from Japanese and other Asian cuisines, poke represents the diverse and multifaceted culture of Hawaii. Now that poke is being spread all over the country, the dish is taking on another whole new level of interpretation. Whether you prefer a classic Hawaiian poke or a modern version, I believe poke is here to stay. One Dish Meal – Poke Bowl! 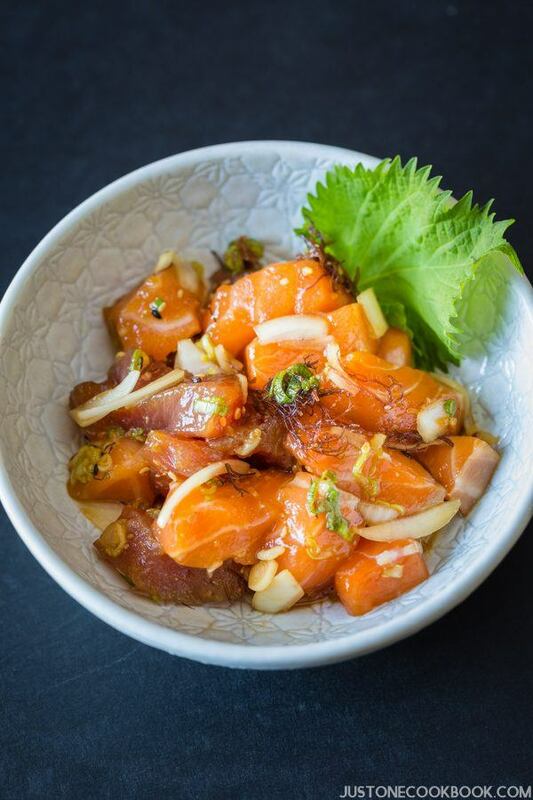 Poke is often served as an appetizer like a salad, but you can make it into a wholesome one dish meal by serving poke on top of steamed rice, like Japanese rice bowl Donburi. If you prefer a lighter version, you could serve poke over kale salad, leafy green salad, chopped romaine or quinoa instead of steamed rice. The possibilities are endless! 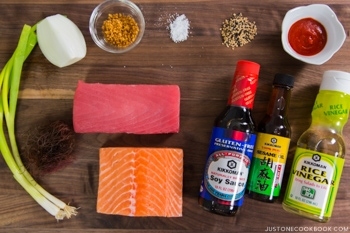 For the most basic components of the dressing, you just need soy sauce and sesame oil. There are many variations you can get creative with. Ponzu sauce, sriracha, gochujang, wasabi, grated ginger juice are just some of the seasonings you can work with. Feel free to experiment and find your favorite. My family loves rice vinegar in the sauce, so I always dash in a few splashes. The vinegar adds a light and refreshing tang, a bit like salad dressing. If you’re gluten intolerant, poke can be easily made gluten-free by just switching regular soy sauce to gluten free soy sauce. 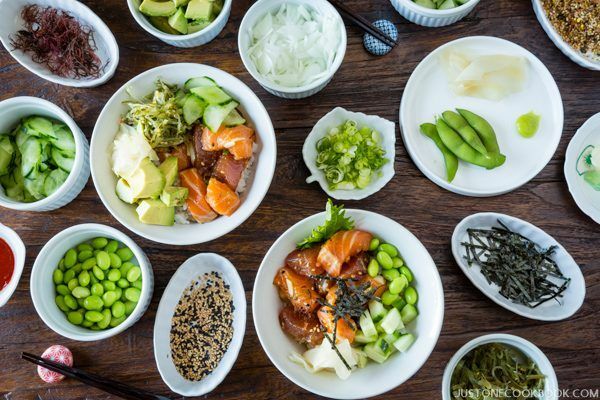 Considering how popular poke is nowadays, you can make it a fun event to invite friends over for a DIY (Do It Yourself) Poke Bowl Party. It’s super easy and quick to prepare for a large crowd. 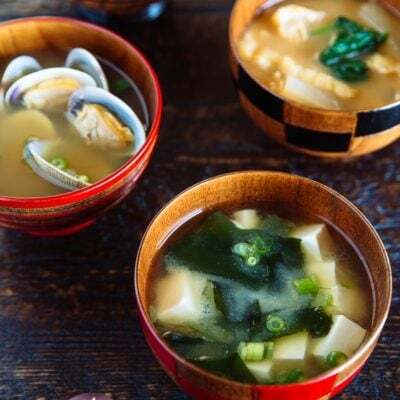 All you need to do is to chop up some fresh sashimi-grade fish and prepare some colorful and refreshing vegetables and side dishes for toppings. For “raw” fish, only consume fish you know that has been frozen properly for sashimi use. 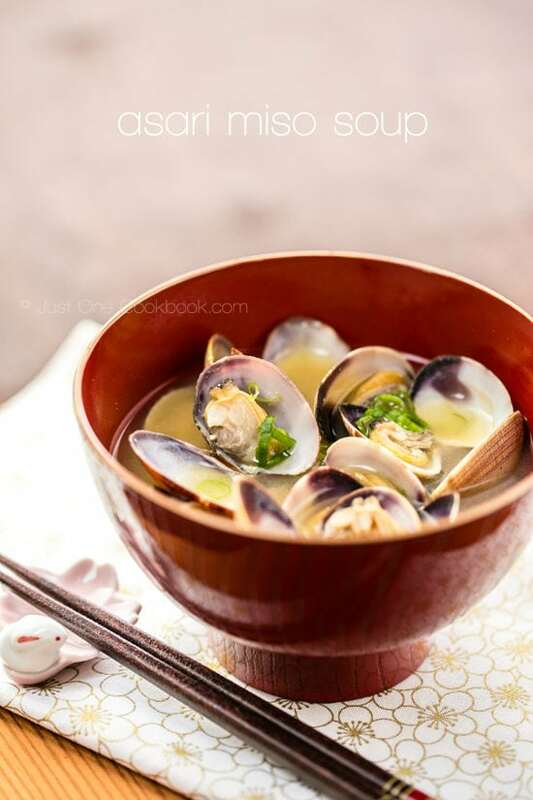 Do not use raw fish even though it “looks” fresh (Read more). Avocado – Richness of avocado resembles fatty tuna and adds a creamy texture. Cucumbers – Sliced or cubed cucumbers add juiciness and refreshing crunch to the poke bowl. Edamame – Adds nice substance to the dish and it’s a great source of protein. 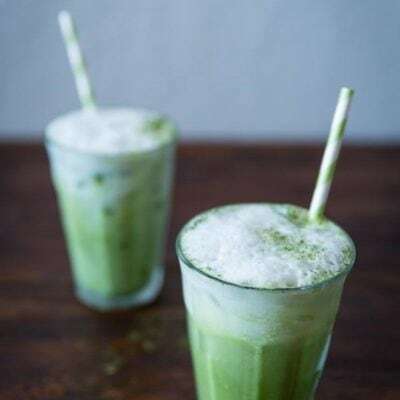 Green onions – Gives some little spice to the dish. 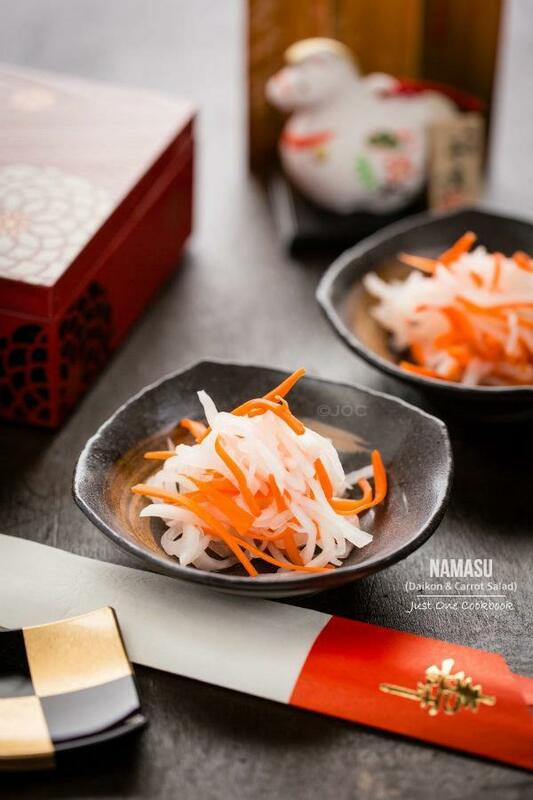 Masago – Creates a different texture when eating and who can resist the tiny eggs. Seaweed salad – If you can purchase premade seaweed salad, it adds new flavors to the poke bowl. 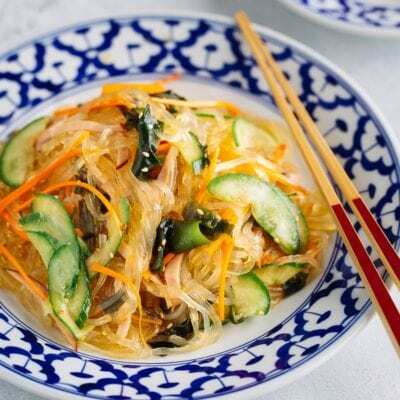 Seaweed – Shredded nori or julienned seaweed provides crispy texture to the poke bowl. Sesame seeds – Add an aromatic nutty flavor to the bowl and beautifies the dish. 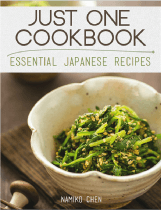 Furikake (rice seasonings) – Adds extra umami flavors and textures from sesame seeds and nori. 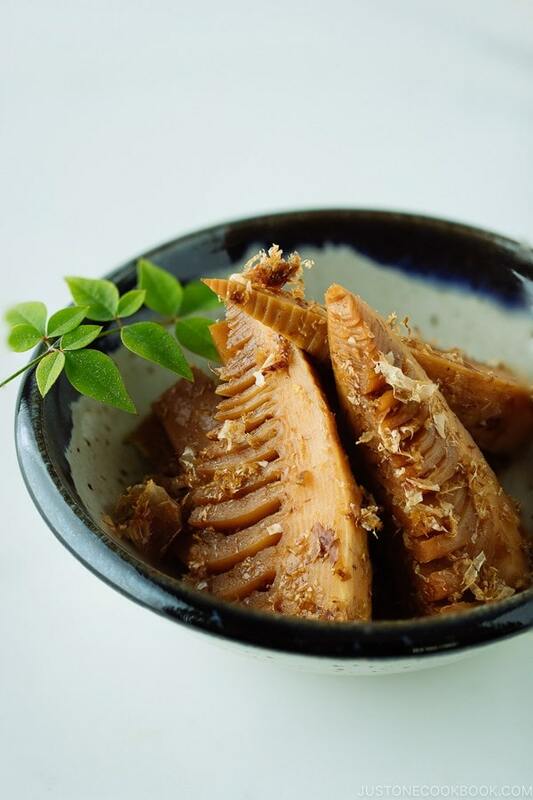 Pickled sushi ginger (recipe) – Refreshing and spicy flavors. Wasabi – If you’re into wasabi, I highly recommend it with fresh sashimi. Sriracha sauce – The sauce gives the bowl a spicy kick! 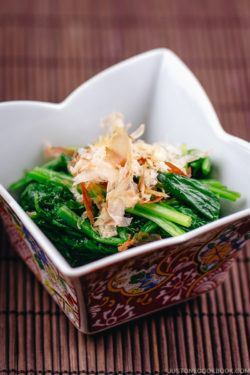 For today’s recipe, I added limu, a type of seaweed, and grated kukui nut (candlenut). These are often included in authentic poke recipes. However, depending on where you live, these ingredients can be hard to find. In that case, you can save your time and energy trying to track them down and just skip them. It’s nice to have for extra flavors and textures, but definitely not a deal breaker if you can’t find them. This Poke Bowl can be easily converted to a gluten free dish if you use gluten-free soy sauce. 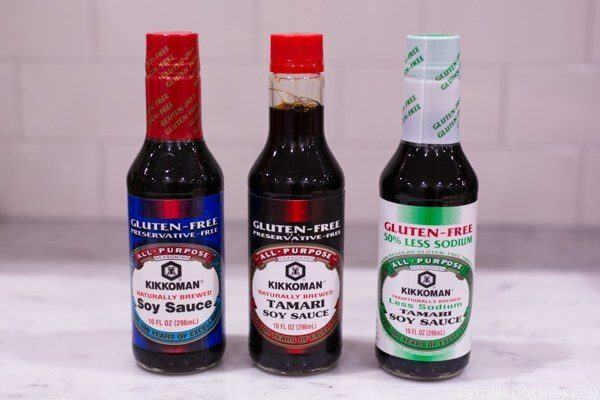 Kikkoman offers 3 varieties of gluten-free soy sauce and for this recipe, I used the gluten-free soy sauce on the left which tastes just like regular soy sauce. If you want to know more about this product, click here. If you’re not gluten intolerant, you can use regular Japanese soy sauce to make the poke seasonings. Remember Chinese and Korean soy sauce taste different, so please use Japanese soy sauce only. If you’re gluten intolerant, please check out my Gluten Free Recipes for additional recipe ideas. 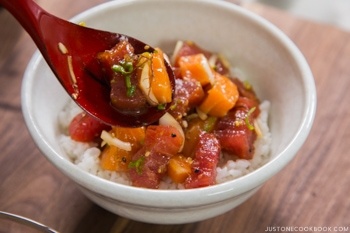 On a hot summer day when you’re too lazy to cook, poke is definitely a great dish to prepare. It does not require cooking over the stove or in the oven. What’s not to loved? With sashimi being served cold, it’s just the perfect refreshing meal to cool you down. Not too heavy but packed with protein, poke bowl has quite a bit of nutrients. The sesame oil used in the poke seasoning is known to improve your appetite (at least we say so in Japan), and the nutty flavor rounds up the dish. With this, I hope you have fun making poke at home! If you throw a DIY Poke Bowl Party, don’t forget to snap a picture and share it with all of us at JOC Instagram or Facebook. Editor’s Note: The post was originally published on May 27, 2016.
always a pleasure to discover new recipes! Sad that here in Tunisia we haven t all the ingredients. But I always lov to see yor tutorials and get new cooking ideas.. So excited to see this Nami! Thank you for sharing, looking forward to trying it! My goodness – this looks so fresh and delicious. It’s all about the “bowl” these days but I can really see why this is so enticing. It is so hot today and I would love this for lunch or dinner. You make it look easy and break it down for us so nicely. Thanks and have a great Memorial Day weekend! Oh my gosh, that looks so good! I love to eat poke bowl, but I’m the only one in my family who enjoys it. As much as I’d love to make my own, I would have too much leftover sashimi. I’m leery of trusting the quality of some sashimi (they sell poke at Costco, but I’ve steered clear so far). Once the sashimi is defrosted from your store, how long will it keep in the refridgerator? Thanks for the recipe! So the tuna that you are recommending is previously frozen?.Is this CO (carbon Monoxide) treated? I would say the tuna at Costco is of better quality then, since it is Fresh and not previously frozen,. Hi TJ! No, tuna from Fish for Sushi is not CO treated, and it’s actually superfrozen (Japanese technology). Tuna is usually caught very far from the port, and there’s no way you can keep it fresh for days. More info on this page: http://fishforsushi.com/pages/learn-more-about-superfrozen-tuna Personally, I don’t feel comfortable about tuna in Costco (at least in my area). I understand Super Frozen, but that product can be sitting in a freezer for months before it is sold and distributed. Causing issues like freezer burn. While many sushi restaurants do use this, my preference is for Fresh Big Eye or Yellowfin. The Ahi that Costco sells in their Seafood department that is steaked out is not sashimi quality, and should be cooked before consuming, this would go for other stores who sell tuna steaks, but their poke product is of higher quality since it is being consumed raw. I have had Costco’s poke on a number of occasions both here on the mainland and when I lived in Hawaii and it is Good stuff. I was glad when they brought it to the Bay Area. Haven’t been to the Islands awhile and don’t remember the last time I had this delicious offering with a rather ‘plain’ name ) ! That will be remedied soonest . . . and thank you for the list of ingredients one can use with it: had not thought of quite a few!!! I’ve not had poke, although I’ve heard plenty about it. Sounds like such a fun and tasty dish! Great starter, although I’d be tempted to serve it as a main course, too. Super informative post — thanks so much. This is a great idea for a branch, isn’t it? Lot of colors, and each one can eat what they really want. And I didn0t know soy souce is not gluteen free, I have to read labels!!! Thank you so much for this post!!! Bobby and I fell in love with poke on our Hawaiian trip several years ago, but can’t find it here. We’ve tried making it, but without very much success. So thank you for sharing you process and knowledge! Pinning and bookmarking this for the near future! Found your poke recipe to be very good. Try doing the following if you want a really flavorful “spicy” poke…..
-Mash the fish into a rough paste instead of cutting them into cubes. -Instead of sriracha use the Chili Garlic Sauce made by the same company that makes the original sriracha. The bottle has a green top. We personally feel that it has more flavor with less heat. -Mix in some mayo for creaminess. By the way, if you ever come to Hawaii drop me a line and we’ll be more than happy to take you and your family on a sampling tour of THE best poke shop’s in the islands. (Some have 15 or more varieties on any given day.) Just bring your chopsticks and your appetite. Hi Lester! Thank you so much for sharing your spicy poke recipe with us! 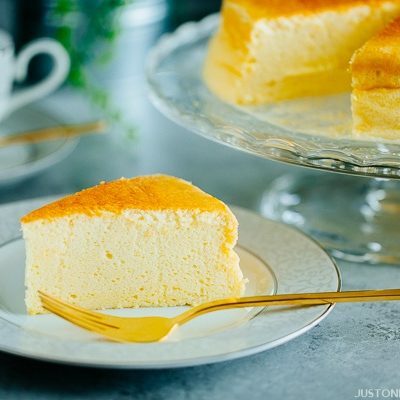 Tried it – it was delicious and easy to prepare. Hi Carrie! Poke is a Hawaiian dish, but with the recent Japanese food trend (more people eat raw fish), and more affordable price for Poke bowls (less sashimi), easy quick meal for busy people, poke bowls are kind of ideal for a quick sushi fix. You know, with $10, you can eat sashimi meal (with toppings and rice). I think that’s why it’s more and more popular. 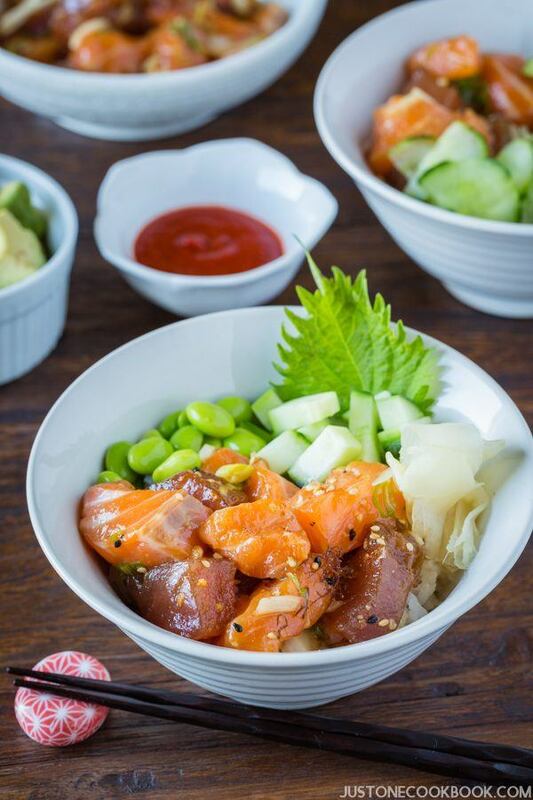 Thank you for sharing how to make a poke bowl! 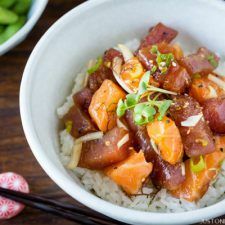 Yours is truly an authentic Hawaiian poke bowl recipe and your topping ideas are spot on! We recently had a poke bowl with slices of round onion, slivers of ginger, cilantro, green onion and rock salt (same ingredients as cold ginger chicken sauce). It was so good! We also saw a combo bowl with poke and kalua pork. My daughter likes tanuki chips sprinkled on top of her bowl. Poke bowls are so satisfying and refreshing on a hot day. My mom likes to say “Onolicious!” I’m so glad you shared and yes, please come visit us here in Hawaii!!! Aloha! Hi Amy! So happy to hear you liked my recipe/post! Thank you for your kind words. Hmm the poke you had sounds “onolicious”!!!! 😉 Tanuki chips – Do you mean tenkasu (the bits of tempura batter that are deep fried)? If so, that sounds like a nice topping that I want to add on my poke! Yes, tenkasu is what I meant. Thanks for letting me know what to call it ????. It adds a nice little crunch to each bite. 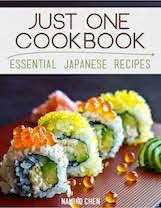 One idea for readers who are unable to eat or get fresh fish is to try your recipe using firm tofu. Sometimes we make that as a side dish or bring it to party as an easy appetizer, or “pupu” as we say here. Thanks so much for sharing Nami. 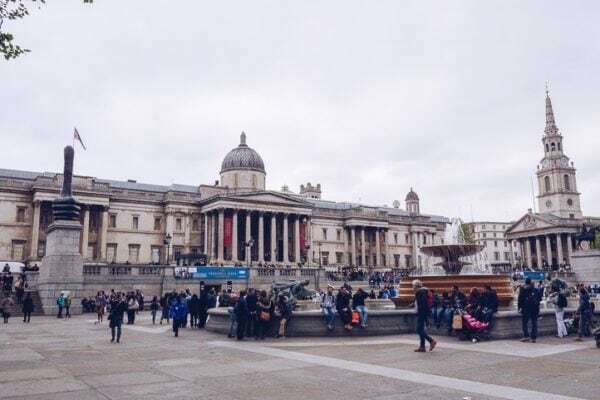 Your blog and videos brighten my day! I can’t wait to add tenkasu next time! We just ate it yesterday, so I’ll make it one more time (with tenkasu!) before going to Japan. Thanks so much for the tofu version. And I love the name already! My friend just posted tofu version too (in case anyone who reads this comment interested). 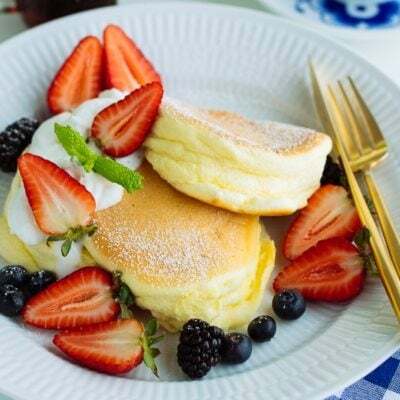 It look’s delicious. I am preparing now. But my concern: rice should be hot, room temperature or cold? Looks delish. Questions on two ingredients. What form are the kukui nuts –raw, roasted (inamona), etc.? And do you know good sources for the kukui and limu? Not easy to find in rural New England and hard to trust any old source online. TIA. Also, in case you didn’t know, Poke showed up on the popular Fuji / Netflix show, Terrace House, as a favorite dish of Arman (Japanese-Iranian guy from Hawaii), a young participant on the show. This *might* help explain the sudden increase in popularity. Hi Chris! Thank you so much for your kind words! Kukui nuts and limu are from the local Hawaiian owned Japanese grocery store (Takahashi market in San Mateo, CA). I’ve looked all the other Japanese grocery stores (Nijiya and Mitsuwa etc) first for these ingredients, but they don’t sell Hawaiian ingredients, so without Takahashi market, I couldn’t make it authentic way…. I actually had to ask a favor to the store if they can give me some of those as I didn’t see in the refrigerated section. Takahashi market has a deli in the supermarket where they sell poke, so he sold me some of kukui nut and limu. 😀 Raw or roasted? They were all crumbles. Could be raw, I didn’t feel like it was roasted. Ohhh! Thanks for letting me know about Terrace House! I’ll check it out! Yeah! Another great recipe ! Luv the taste & flavour of the dressing in combination with the fish! Poke is a staple dish at my house during most of the year – except for winter time. My first Poké bowl was in Ho Chi Minh City last year and I feel in love to this light and savory dish since then. I’m back in the Philippines and watching Nami’s tutorial on how to prepare one answers my curiosity and cravings. Thanks once again JOC for this easy, quick and delicious recipe. 1 tbsp Momoya Kim Chee paste (many people use sriracha or Korean style hot sauce, they are very strong and overwhelmed the real taste of the tuna, I personally preferred Japanese made Kim Chee paste). Half tsp sansho pepper (optional). 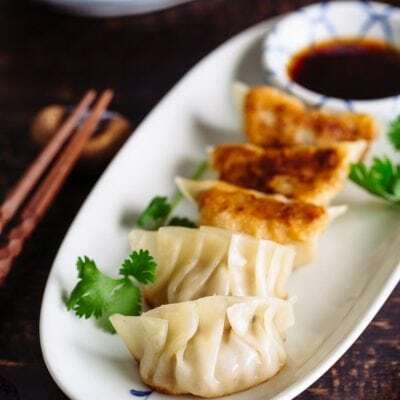 If additional spicy is desire, add a few drops of hot pepper oil (the one use for gyoza or ramen). Don’t put the fish on top of hot rice, the heat will affect the taste of the fish and make it fishy. Wait till the rice cool off to room temperature then serve. It just dawned on me that I haven’t had a Poke bowl all summer!!! What the heck is wrong with me? 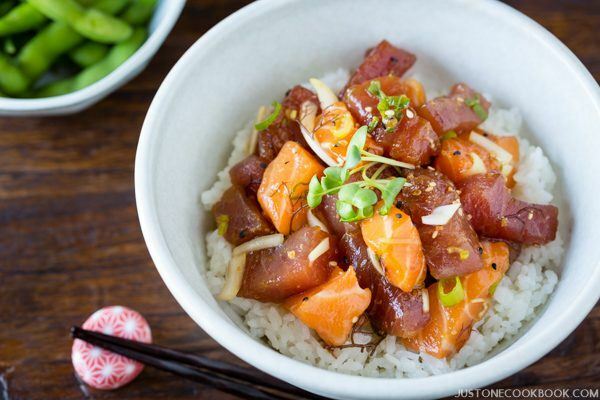 I love Poke bowls and your recipe sounds and looks mouth watering, great job!! Bobby and I feel in love with poke when we vacationed in Hawaii. We’ve made it a couple of times at home but have never included it in a bowl. Fabulous idea! Thanks Nami! Made this today and it was AMAZING!!! It was such a treat and it had a lot of healthy ingredients so I didn’t feel guilty 😛 I made mine with just salmon, cucumber, avocado, green onion and onion. Perfection <3 Thank you for this recipe!! I am also making your shiojake recipe now! 🙂 It is in the fridge sitting now. 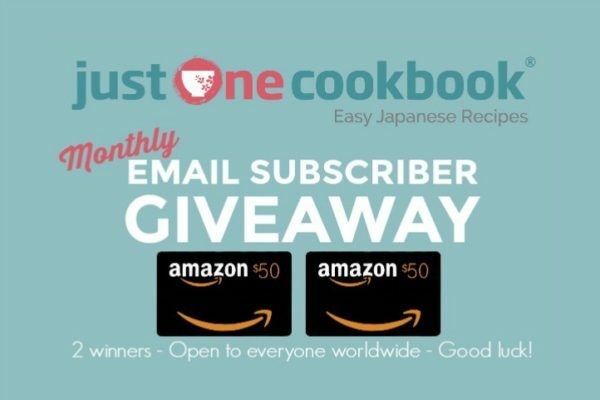 I am new to Japan and have no idea what to cook or how to cook it so thank you for your recipes. I love this site!!! Hi Jessica! Thank you so much for trying this recipe! 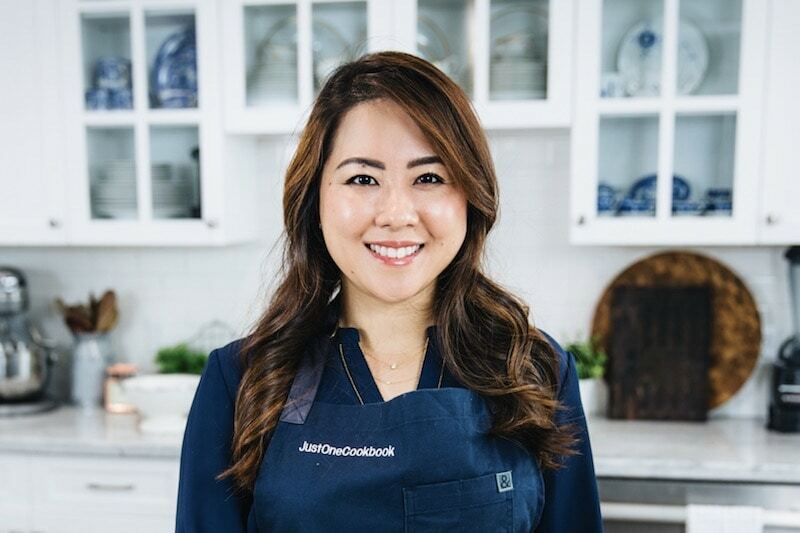 So happy to hear you liked this recipe! Hope the shiojake recipe went well as well. I’m so excited to know that you’re cooking Japanese food despite you’re new to the cuisine (or cooking Japanese food by yourself). Thanks for your inspiration! Candlenuts (kemiri in Indonesian) are one of common ingredients in Indonesian cooking. You can always look at Asian markets that sell Indonesian ingredients. How do you make the rice for the poke? Is it the same rice you use when making sushi? Hi Alva! Yes, Japanese recipes always use “short grain rice”. 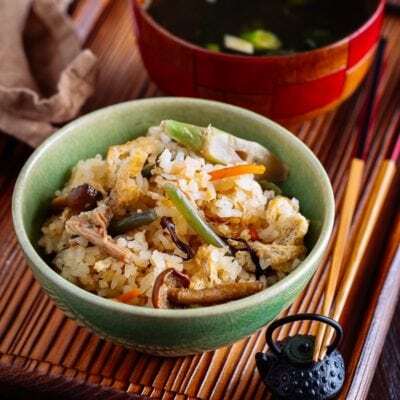 Some people call it “sushi rice” but in Japan, that word only refers to the seasoned steamed rice that’s only used for sushi recipes (seasoning = rice vinegar, sugar, and salt). Anyway, we need Japanese short grain rice. Here’s how to make the steamed rice. I wanna make a poke bowl. However, I often buy fresh Atlantic salmon at a grocery store like Walmart (but not Walmart). I wonder if you can share any tricks for preparing salmon because it might have bacteria and parasites. Hi, thank you for your receipe. May i check if the above seasonings are similar taste to Teriyaki? 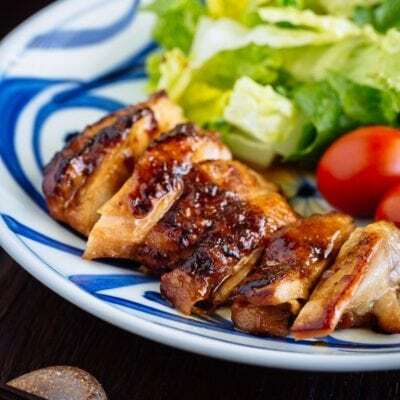 As I dont have rice vinegar but I do have teriyaki marinade at home.. Able to opt out rice vinegar? No comment really, I am just interested in your cooking style. Looks fantastic, and you make it look so easy. Also, love the accompanying music. Can you advise who is the group? Hi Jerry! Hope you enjoy this recipe! This music is “Tutira Mai Nga Iwi 2” (http://bit.ly/1ViH65s). Hi Reena! So sorry it took me a while to respond. We used to own a sashimi online shop (we sold the shop and they closed down) and we made this video back then. That’s how we defrosted. Your sashimi manufacture should give you an instruction. My shop used to sell SUPERFROZEN tuna, not regular frozen. If you can contact the shop, I highly recommend asking the proper method because you don’t want to waste your money by making a mistake during the thawing process. For me, this recipe is too salty. I double everything except for soy sauce — so I use half the recommended amount of soy sauce — and I don’t use any salt.